And the recent myth “SEO is dead” is making this meter go absolutely crazy! Not only is SEO alive and well, but it is more important than it has ever been. If you and your company have delayed hiring an SEO agency because you are wondering why SEO matters (or if it even matters at all), then this article is for you. Here are the 9 irrefutable reasons why your business desperately needs SEO services in 2017. With the growing prevalence of PPC, affiliate marketing, and other forms of paid advertising, SEO is often relegated to the back of the marketing herd when entrepreneurs decide they want to grow their online business. SEO is one of the only marketing methods that allows you to generate high volumes of traffic and attract qualified leads to your company on an ongoing basis for a nominal investment. While case studies like the one presented above are far from the industry norm, results like these are not uncommon for companies willing to invest in the right SEO agency. Even though SEO can provide a phenomenal ROI, you need to ensure that you are using the right agency. Remember the old adage that you “Get what you pay for”? Well, this is doubly true for SEO. If you outsource your SEO to the lowest bidder, you will soon find yourself losing your investment to uneducated and uncommitted agencies with little knowledge of how SEO really works. Even though a good SEO agency might cost more in the short term, the results they will generate will pay for their services 10X over. One perk of SEO that many business owners forget is the competitive advantage presented by hiring a quality agency. In a survey compiled a little over a year ago, Search Engine Watch found that less than half of all small businesses in the U.S. consider inbound search engine traffic to be an “important factor” in their businesses future growth. And, to make this survey even juicier, the team found that only 17% of small businesses nationwide are actively investing in SEO services on a monthly or yearly basis. Well, with less than 20% of the modern small business world investing in SEO services, your company now has a unique competitive opportunity. Invariably, the other 80% of SMBs will realize the importance of SEO in the coming years. But before they do, you have the edge of nearly all local competition. If you are able to get your company’s website on the first page of Google for local keywords, you will be able to “steal” and convert customers from your competition. And if you don’t invest in SEO? Then expect to start losing customers to companies that do. If these words conjure up mental images of furry critters and spectacular flying creatures, then it’s time to hire some outside SEO help. The algorithms and best practices in the world of SEO change on a whim and unless you are willing to track and research the latest updates on an almost daily basis, you run the risk of incurring massive penalties from Google. What worked last year will not work this year, and what worked when you began your SEO journey will undoubtedly change over the next 6 months. 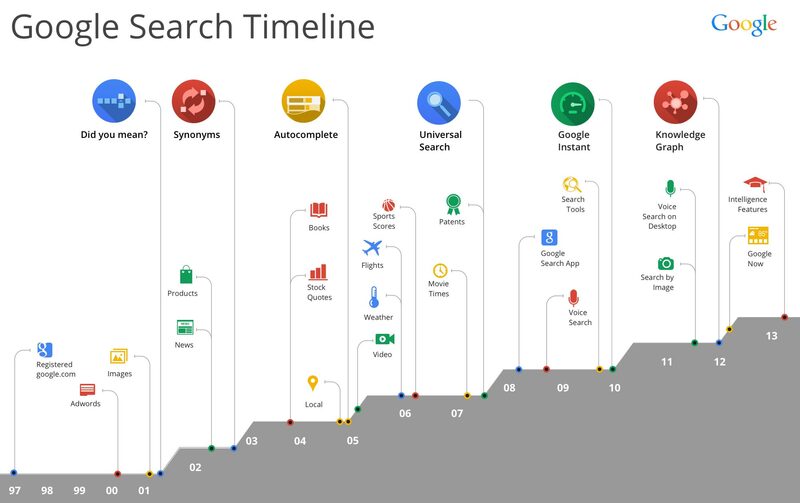 Just look at the timeline of changes that Google has made in recent years. This makes it imperative that you hire and consult with agencies that are familiar with the latest algorithm trends and know the common pitfalls and traps many novice SEOs fall into. Most of you are probably familiar with a certain German scientist named Albert Einstein. What many of you might not be familiar with is a quote from one of our favorite eccentrics. And while I think it is safe to assume that “Old Al” wasn’t referring to the compounding ‘interest’ that companies can generate through SEO, the principle is just as applicable to online marketing as it is to finances. Because, in many ways, SEO is like an investing account. You rarely see results when you begin putting money (or time) in, but after a few months of consistent deposits, your results skyrocket almost overnight and you are left with a large lump sum. Look at this 12-month SEO “before and after” case study from ahrefs to see what I mean. Mobile traffic is growing at an almost unprecedented pace. The majority of potential leads who are actively looking for your services are compiling their research fro mobile devices and making their decisions based on the top results on their iPhone. This means that if you want to truly achieve success in 2017, then you need to leverage SEO to become relevant to your mobile audience. Since almost 80% of customers skip through paid advertisements, organic traffic is becoming more important than it has ever been. SEO provides you with an easy way to pre-qualify yourself and present authority to new leads. If you are on the first page of Google, potential customers will immediately see you as an authority in your space and will have fewer hesitations about handing over their email or credit card information. With customers becoming more and more invested in the buying process, it is absolutely essential that your business ranks for your local keywords. Most people use the internet to find new brands and companies to buy from and if you are on the first page of Google, then your odds of becoming their new “go-to” increases dramatically. Whether you’re an eCommerce store, SaaS product, service provider or local business, SEO is most times the only form of marketing you need to get exposure. It’s important to test all forms of digital marketing to see what works best with your audience, but if SEO is giving you the highest return then it’s time to go all-in. Most of our clients put 90% of their marketing budget into SEO and a small percentage into Facebook marketing. Why? Because SEO is giving them more business than they can possibly handle. This graph highlights keywords that this website is ranking for, that have moved up in Googles organic search results over 12 months. As you would expect, the traffic continues to build and so does the revenue! From large case studies to anecdotal evidence, every successful entrepreneur in the online world agrees: SEO works. If you need more convincing, just look at how Emil produced 41,992 page views and a #1 ranking by using the SEO tactic of Skyscraping. Or how Nike Golf leveraged on page SEO to increase organic traffic by 169%! The bottom line is this. If you are consistently focusing on improving the user experience and making your content more visible and searchable to Google, you will be rewarded with a higher ranking. Investing in your organic traffic is one of the single most important things that you can do to increase your revenue and prominence in 2017. If you have not already invested in a high-end SEO service, then I urge you to stop what you are doing and start learning. The ship is leaving soon and you do not want to be left standing at the harbor. Do you have any questions about SEO that I didn’t answer? Wondering how to select the right SEO agency for your company? Let me know in the comments below and I will get back to you.